Everything you need to know about high index lenses. It’s often a serious problem when you end up with a very high prescription for glasses due to natural eye decline over time, inherited myopia, a serious eye injury, or any other reason, especially if you aren’t used to wearing glasses with that level of thickness. However, regardless of the reason why you end up needing to get serious eye correction, high index glasses are often an effective way for you to handle these problems. Here’s some information about how to handle this event in your life including various considerations that you should be thinking about in general. The typical understanding of needing glasses is often relegated largely to those who have needed glasses since they were young, or those who need them as they age. But, the truth is that there are far more complex situations that happen all the time than just those. Increased Prescription from Age-macular degeneration due to age may require increasing prescriptions. With each increase in prescriptions, you may need glasses with an ever-increasing level of thickness due to higher prescriptions as your eyes encounter additional problems. Sports and Other Physical Eye Injuries-In some cases, you may need to get high prescription eyeglasses to physical injuries to your eyes, which could be above and beyond your normal prescription as a result of the injury. Other Sudden Maladies-Many different types of diseases can cause problems with your vision, including cancer and other conditions. These can come on suddenly, and they are more just a side effect of the other condition and less related directly to age. As a result, you may be unfamiliar with wearing thick eyeglasses, which means that it may be a good idea to take steps to get the prescription you need without making the glasses thick and heavy. If you’re of the mind where you hate having to switch back and forth between regular thick glasses for your thick prescription, including one over -7.00 diopters, for example, and sunglasses due to being out in the bright sun frequently, then you should think about getting some transition lenses. The issue is that not all high index glasses will even allow you to get glasses that can transition from clear glasses to the dark kind all in the same frame. However, this is actually possible, and many stores will offer them to you if you go with the 1.67 index option. It’s definitely worth looking if both of these features appeal to you, generally. You definitely don’t want to make your situation worse, heaping bad on top of bad by risking discomfort and frustration with your new thick, high prescription eyeglasses after ending up with an eye injury or malady. This is exactly why high index glasses can really help. They have the ability to correct your vision at a high level without weighing down your nose with extra material. It is true that they can be more expensive as a result in some cases, but this could be worth it to get your previous functionality back quickly. You really don’t want to have to worry about your eyeglasses falling off of your face on top of everything else, after all. One of the biggest things about high index glasses is that they are more efficient than standard eyeglasses, often by a wide margin. The best for this is the 1.74 high index glasses, of course, at least among glasses that are more standard for the high index variety. You can also get 1.67 if you want something that’s a bit less intense with it being less expensive as well. But, the point is, the high index glasses have the distinct advantage of allowing you to correct your vision with one high-efficiency lens that’s thin by being more adept at correcting vision with more light focusing than the other options that are standard but require the glass to be either thicker on the ends or in the middle of the unit. Efficiency is going to be especially important to those who are just handling their vision after an injury or other malady given the fact that there’s going to be a lack of familiarity with the condition and an urgency when it comes to restoring functionality. 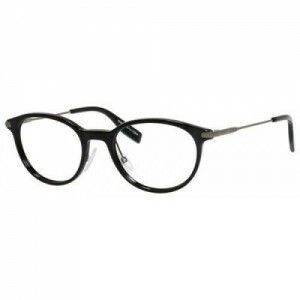 Having glasses like these will help an injured person feel fully restored in a way that standard glasses often won’t allow for, especially with a strong prescription. It’s amazing what a return to normalcy can accomplish when it comes to helping people recover from eye injuries in general. In the past, it may have been more difficult to have the glass type you want and also wear bifocals due to their more selective nature. However, this is no longer the case. There are a number of different options these days that make it possible to have both the advantages of the two types of magnification through bifocal glasses, as well as making it so that you have high index lenses in them. This gives you the best of both worlds, so to speak. Thick bifocals can often be particularly noticeable if they use the old, standard kind of bifocals, after all. Plus, needing multiple types of magnification can often be required with a variety of different kinds of eye maladies so all of this will work well in combination, generally. High index glasses also often work well when it comes to protecting your eyes from the sun, because it’s possible to add UV protection to them, and their thin profile is conducive to this end. This will be useful particularly if sun damage of some sort was part of the reason for the need to increase the prescription in the first place. Additionally, the 1.67 index glasses are often able to meld well with techniques for keeping off the sun through a sunglass type effect as well. The last thing that anyone wants to hear after an injury or other issue that makes high prescription glasses necessary, is that they have to curtail the hobbies that they enjoyed doing before the malady occurred. Fortunately, this isn’t actually the case as long as certain features are added to high index glasses, which are going to be easier to do this way due to the thinness. This includes high impact protection for if you’re doing sports, as well as anti-fog options for anything involving water, anti-scratch protection for dropping your glasses during the activity, and any other option you may need. Overall, it’s important to consider high index glasses whenever you’re recovering from an eye injury or other type of malady because you need a way to both raise your spirits as well as make your vision back what it used to be by the best means available. An altered sense of balance due to heaviness in your glasses and thus in your head, a reduced sense of your appearance due to thick frames, a reduced ability to combine glasses with other important options such as those that reduce fogginess, sun exposure, glare, or any other quality aren’t worth trying to save a few pennies by going for standard glasses. The high-index versions can often accomplish all of these things and more, and for an increasingly small amount of money, in relative terms. Why Should you get High Index Lenses? Do I Need High Index Lenses? 1.74 High Index Lenses, Transition Lenses, Progressive Lenses… What Does It All Mean? When Should You Switch a Child from Normal Glasses to High Index Lenses? What Can You Put High Index Lenses Into? Are High Index Lenses Right for Your Next Pair of Eyeglasses? 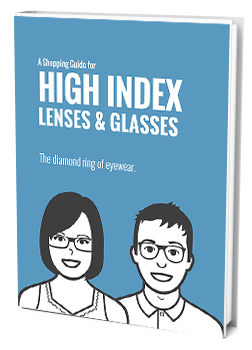 What Can High-Index Eyeglasses Be Used For?